Have I forgotten about my Quest for the Best Burger in Portland? No, I haven’t. Like any good quest, there are highs and lows. I took a break from trying some new places simply because we weren’t eating out as much and we were getting used to going to the same places when we craved it. The Quest began with the Slow Bar–an amazing burger with a crispy onion ring on it. 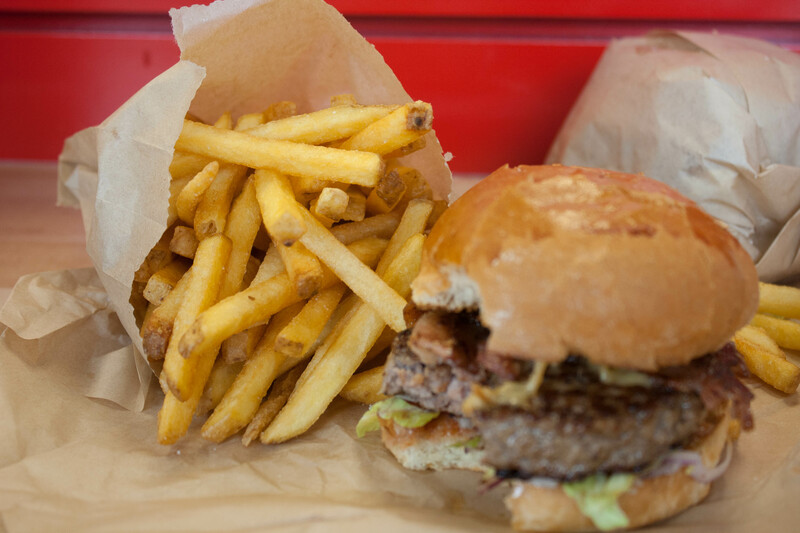 Laurelhurst was a trendy, awesome summer place to get a burger. Toast was quaint, different kind of burger with really great flavor. 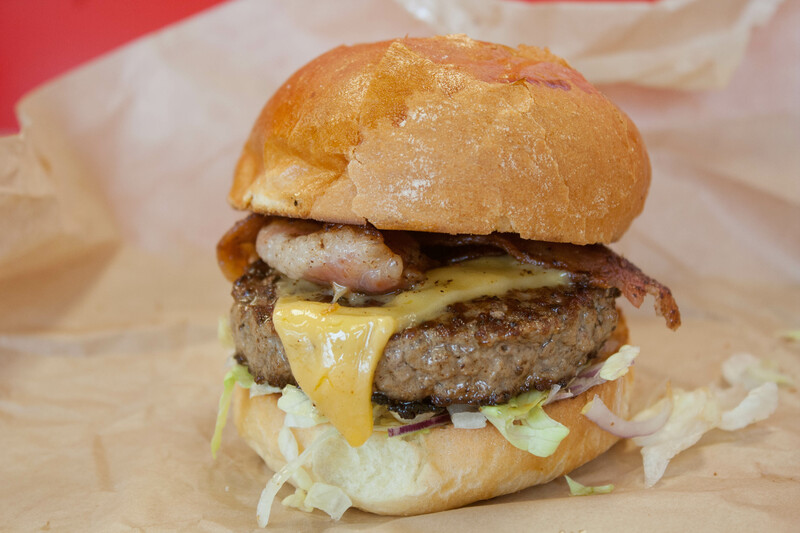 Foster Burger is a messy, fulfilling burger that is often our “go-to” joint. Gruner? I think it’s getting knocked off the list. We’ve had some burgers lately that were pretty good. East Burn had a deliciously messy burger. Nob Hill Bar and Grill was decent but didn’t make the cut. So which place knocked Gruner off the list? Little Big Burger. It was a rainy, cold, dreary Sunday afternoon and I’d gotten home from the pool with a craving for anything that wasn’t in our fridge. Nothing sounded appealing so when Michael suggested we got o Little Big Burger, I agreed. I’d never been to LBB before, but I’d seen it in the Pearl District downtown and it seemed really popular. They opened a new restaurant on SE Division so we went to check it out. It was a cute little place and it had a Five Guys feel to it–the kitchen was out in the open and you could watch your meal being prepared. I also like how simple the menu was. 6 items. Simple. Satisfying. The other cool thing–they are tiny burgers! They are about the size of a slider on a brioche bun. I loved how small they were. They were definitely my size–big enough to be satisfying but not as big as a regular burger that could potentially be over 1,000 calories. Michael and I split one order fries. The fries and the slider were the perfect amount of food. I enjoyed everything about the burger and the fries were crispy and cooked in Truffle oil. Yum! So, sorry Gruner. 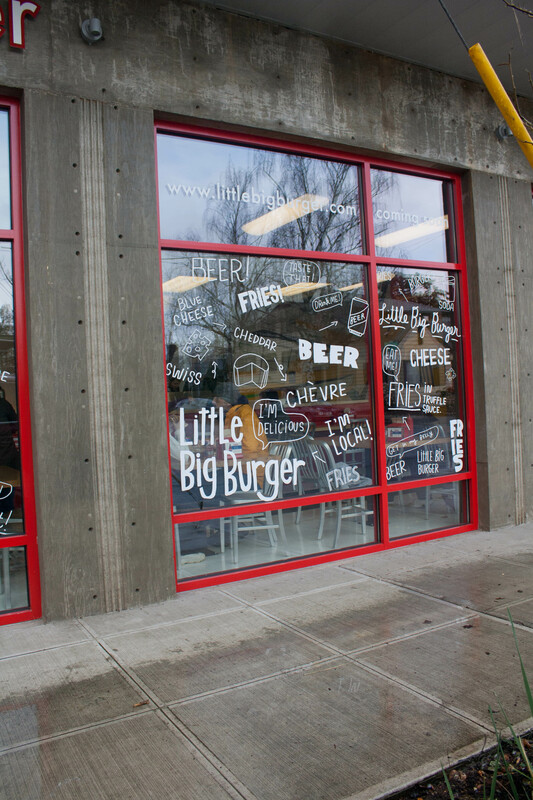 Little Big Burger is taking over. If you ever visit Portland, I recommend trying one of the above restaurants–even if you’re not craving a cheeseburger and fries. Since lunch was fulfilling, we were good and had a lighter dinner that night–from the fridge too. QUESTION: What’s your go-to food when you’re not really feeling cooking at home? I’ll be visiting Portland next week for work! I’ve never been there before so I’m excited to try out some of your restaurants you’ve talked about! Awesome! Definitely let me know what you try when you visit. I’d love your review. Have fun! We have a burger chain called Burger Fuel here, and that is my lazy night place. 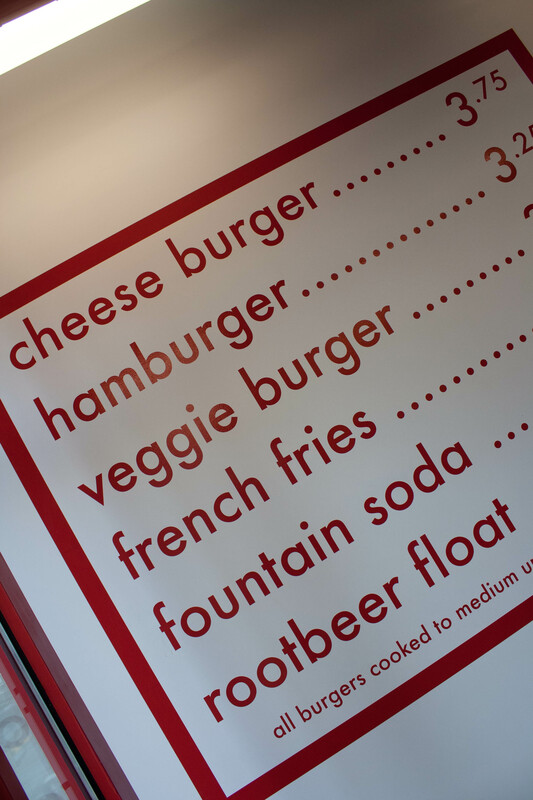 The burgers come in 3 sizes (mini, lightweight and regular) so you can order based on how hungry you are. The fries and aioli are out of this world amazing. A mini burger and half a regular fries is enough to fill me up. I wish I could come to Portland and try all these amazing restaurants. House first, Jess, house first! I LOVE aioli sauce. That makes everything better. That’s cool that you have a place with that many size choices. I wish more restaurants had that option. Miz recently posted..If mama aint healthy–aint nobody healthy. You should also try the lunch burger at Little Bird. SOOOO good!